A variety of professional organizations are key partners in the P-12 educational enterprise in Washington state, each that works on behalf of young people and/or the professionals who serve them. AESD – the Association of Educational Service Districts, is a collaboration of the State’s nine educational service districts, each of which works together to support students, professionals, schools and school districts across Washington. SBE – the State Board of Education’s mission is to lead the development of state policy for K-12 education, provide effective oversight of public schools, and advocate for student success. AWSP – the Association of Washington School Principals, supports principals and the principalship in the education of all students. That renders AWSP the multiplier of the multiplier of effective instruction. WASA – the Washington Association of School Administrators represents superintendents and central office professionals, in support of their work to provide, and advocate for, the highest quality learning and teaching. DCYF – the Department of Children, Youth, and Families is a cabinet-level agency focused on the well-being of children. Their vision is to ensure that "Washington state’s children and youth grow up safe and healthy—thriving physically, emotionally and academically, nurtured by family and community." WSSDA – the Washington State School Directors Association represents the 1477 locally elected School Board members in Washington and is committed to the provision of strong policy leadership for high quality learning and teaching in each of the State’s 295 public school districts. 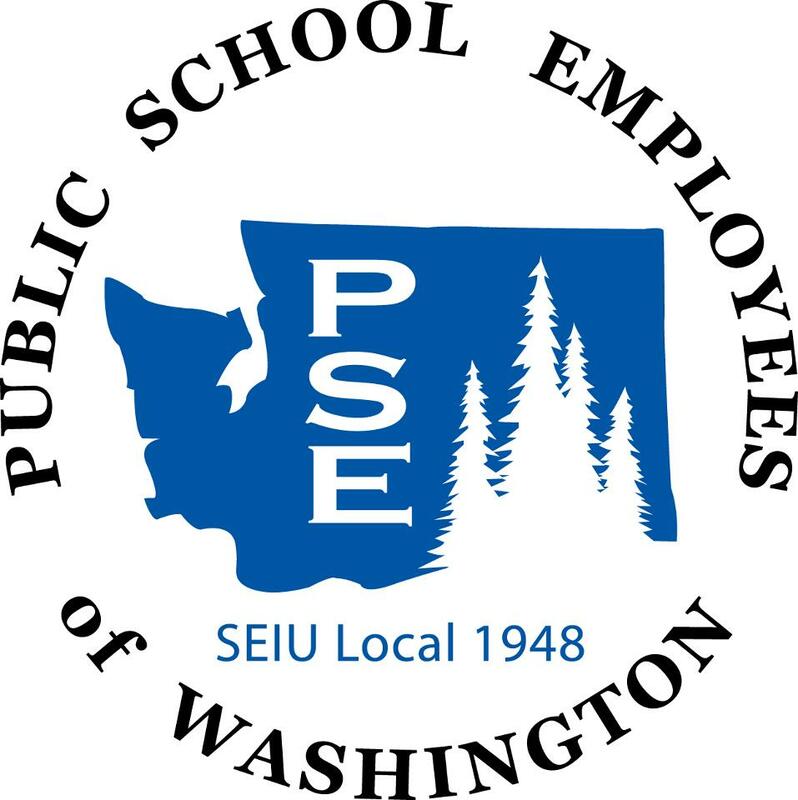 PSE – Public School Employees of Washington is a labor union dedicated exclusively to representing classified educational support professionals in Washington state’s public education system. Their 30,000+ members play a vital role in the operation of early learning, K-12 and universities throughout the state. WASBO – the Washington Association of School Business Officials is a professional association that provides programs and services to promote best practices of school business management, professional growth and the effective use of educational resources.